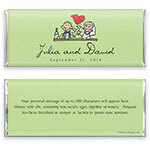 Raise your bars in toast to the happy couple with this sweetly charming wrapper design. 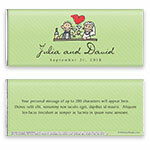 Design: Hand-drawn bride and groom toasting at wedding reception. 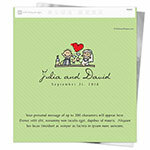 Personalization: Front names and date with back message.